Work for Kaspersky Security for Internet Gateways? Learning about Kaspersky Security for Internet Gateways? Es un buen antivirus, que no ralentiza el ordenador. Hay unos antivirus que al hacer sus comprobaciones te desesperan porque tardas muchos en abrir las páginas, .....pero este hace su función y no te impide trabajar. No me disgusta nada. De momento no he tenido ningún problema con ningún virus. Y todo funciona perfectamente. Se actualiza continuamente para estar a la última en los posibles nuevos ataques. Creo ye están a la última en Ciberseguridad. Por eso me gusta tanto, y no tengo nada en contra. Buen servicio. Marca 100% fiable. Cumple su función y sin ningún problema hasta ahora. Ideal para entorno empresas. Hace una pasarela segura para la navegación por internet, y evita que los empleados entren en páginas maliciosas. Tuvimos un problema que llegó un virus por correo electrónico. Que era un servicio de paquetería que teníamos que comprobar el número de seguimiento. Y entró un virus. Desde que tenemos este software no hemos tenido problemas de este tipo. Así que hace su función correctamente. I like the system scan speed, as well as its regular reminders to quick scan! It automatically blocks potential websites with threats and also disables me from auto-connecting to harmful networks! Works well alongside with windows firewall as well. The only thing that I dislike about it is that sometimes Kaspersky gets in the way even benign connections, and makes important websites completely inaccessible. Also, a lot of the features don't really come without an activation key and a hugely paid bundle topup. If only they could provide more features and not be as hard to access without the paid version, that'd be great. I have used it to have secure connections both at my workplace and for my private works. That has helped me get rid of ads and also from providing my confidential information from phishers. It has in general helped me in keeping my system pretty secure.
" the best protection for your computer?" Kaspersky is an easy app to use and the company is very responsive. Our previous software caused our cost our support team untold amounts of money and time troubleshooting. Although the cost is quite reasonable, it would be a real pleasure if the cost was less. Take time to look at a few options but after speaking with companies that have used Kaspersky I think you will see that it is the best choice. We have seen fewer security breaches and less reasons to be on hold with support. Our organization feels much more protected. Using the cloud-based console make it much easier for us to use the powerful security tools and security monitoring from any connected device..
Online attacks, ransomware and data loss are no longer issues that concern us on a regular basis. As a business owner this is extremely valuable. "Good Security for an Enterprise Organization "
After using Kaspersky''s other security solution products as an individual user, I think it abstracts away a lot of the features, but has enough to be a good enterprise level software. It is pretty easy to use, and takes care of your basic security so that you can focus on your own work.
" Active protection against emerging and malware threats"
This antivirus provides protection in the network, guaranteeing the security of the use of the Internet, always active, really effective for a corporate network. It has a high level of antivirus performance, since it has an optimized optimized intelligent scanning system, which guarantees a minimum interruption of operations due to virus threats, with protection even when the equipment malfunctions or forced shutdown. Improves the performance of the equipment, extending the life of it. The administration tools are not so easy to understand. This antivirus is recommended for corporate use, protects the equipment in use and access to the Internet, avoiding pop-ups with malicious content. Efficient protection of equipment and performance. Fast analysis without interruption of activities. This antivirus was used in an old company where I worked, and it really guarantees a better performance of the equipment, little interruption due to slow scans, efficiency in the analysis and protection of the equipment. I have used Karpersky on my personal computer, and I had already liked it, but as network protection, it is a very good option and the price is fair to what it offers. Kaspersky software protects your computers in real time against malware. It provides safety from identity theft and phishing, and it also secures your online financial transactions. Kaspersky Internet Security and Total Security software programs have proven effective repeatedly in independent software evaluations and our own testing, showing it is a good means of protecting your home computer and keeping it running smoothly. The real headline is the new Secure Connection VPN service. This aims to protect your online privacy by encrypting all your internet traffic and routing it via a trusted third-party relay. When the VPN is switched on, anyone trying to spy on your online activity won’t be able to tell which sites you’re connecting to, or what you’re doing there – even your ISP will see only a string of encrypted data going back and forth between you and the VPN operator. The sites you visit won’t see the real origin of your connection either, which limits their ability to track you online. 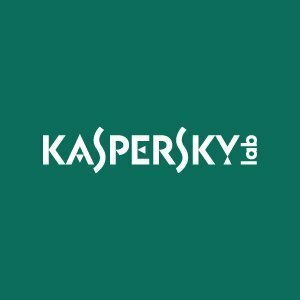 Kaspersky Security para Internet Gateway proporcionar protección antimalware efectiva para la red corporativa. "Experience in using Kaspersky Internet Security"
The parental control and the dangerous sites control is a very good feature. The renewal of it takes a lot of time and asks for licence whenever i turn on my system. Really a good and secure application to safeguard our operating systems. Restrictions for adult sites so that the virus that comes from them are being stopped from affecting the system. I like that it works in the background and does not slow down my computer. It offers great protection. When I first began using Kapersky Security, I had trouble connecting to public hot-spots in libraries in coffee shops. I tried to search support forums, and navigate through the software to find out how I can enable to allow access to public hot-spots. It was very confusing and there was no clear instructions. I use my personal laptop and iPhone for business, so the protection from cyberthreats and any harmful viruses ensures that I can be productive and work effectively. Most of all in this program I like excellent protection against malicious sites, as well as the ability to safely pay for purchases on the Internet. this program also has an excellent user interface, it will be clear to any new user. Strong customer focus and services expertise. A bit 'heavy' on the windows operation system. Once looking for a global, one package to secure your server or gateway, i will recommend going with this application. Having the Kaspersky Security securing one of our windows server. Good, runs smoothly, fast, and giving a feeling that no worries are needed. "3 years Kaspersky for us, very satisfied"
Great value, be prepared to mess with settings if you have a lot of other programs that utilize the internet. "best and lite program for securing your usage"
Kaspersky doesn't have a major impact as far as the amount of memory it uses. The alerts are solid and the security that you have knowing that it's doing what it's supposed to be is a great feeling. The renewal system was not as easy as it could be, but once it was done we're good to go. Check it out yourself. I think you'll be pleased. Well the security aspect of course was huge. The benefits? Deploying it over AD is a breeze! Have only been using for a couple months, but so far so good. No complaints as of yet. I guess time will tell. Protecting our office computers, which is very vital. A strong competitor with some strongly appealing features. Poor response by the company to US government's actions. This makes one wonder if the product is in fact security bugged without even downloading or subscribing to it. Another major security product that is a strong competitor if weakened by global cyber security issues. Heavy on low-end specification devices. The computer with low specifications takes long to boot. 100% safety while browsing the net. It constantly scans my gateways and ports which I love. "Security for microservices, good choice"
I like that before I make a purchase online Kaspersky goes into its own secure window to prevent hackers from getting credit card information. I dislike that sometimes the pop ups form the software are extremely persistent and don’t go away easily. I loved that I could get safe and reliable internet and computer security without breaking the bank! I’m keeping my computer safe ! "Unease about it being so Russian, but it works"
The system resources for the software are pretty low, which is great for end users and not eating up all your available resources. And it does a good job of catching things. Unknown backdoors in the software, semi-expensive to use. Not super easy to deploy, especially to Macs. Mostly antivirus and spam ware. "Strong product but needs tweaking"
* We monitor all Kaspersky Security for Internet Gateways reviews to prevent fraudulent reviews and keep review quality high. We do not post reviews by company employees or direct competitors. Validated reviews require the user to submit a screenshot of the product containing their user ID, in order to verify a user is an actual user of the product. Hi there! Are you looking to implement a solution like Kaspersky Security for Internet Gateways?